Using a prime lens will always have its advantages and disadvantages with photography. Sharpness, focus speed and lens quality is a great factor to have but with closer subjects focal length and minimum focussing distances comes in to play. This was the case with this juvenile Night Heron. This individual came within the minimum 4.5m focussing distance of the 500mm f/4 lens I was using. Attaching a 25mm extension tube (giving me 25% closer focus), this brought the subject back in focus again. The Night Heron was still huge in the frame but I wasn’t able to zoom out or move further back. Keeping the focussing point over the eye and creating the best composition was all I could do in this situation. This is one of the images I achieved. 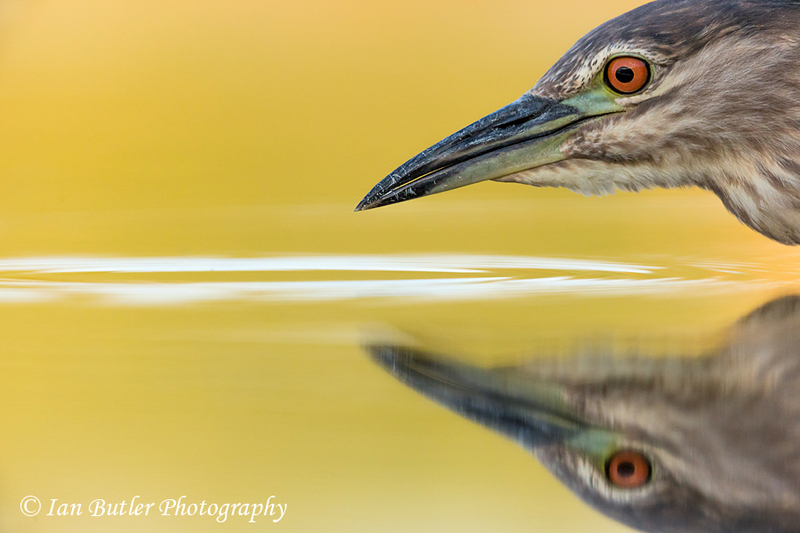 Night Heron, Nycticorax nycticorax, Hungary, June, 2014. Canon 5D3 with Canon 500mm f/4 L IS lens with Canon 25mm extension tube. Isn’t this a Ardeola ralloides ?